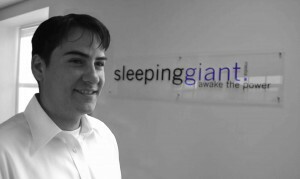 The team at sleeping giant media have welcomed a new member to their fast growing team. The hugely experienced Christian Hirleman joins the folkestone based technical team at SGM, from large London agency, StarCom. With an excellent track record focussed on paid search and SEM, he’ll be contributing to sleeping giants integrated search solutions and helping local kent based companies to rocket their online business.